Cycling in Myanmar and especially in this terrain ranks amongst the best modes of adventure and recreation in Myanmar . The most popular cycling, biking package tours in Myanmar are mountain cycling, road bike, countryside biking, city bicycling, bike, cycle adventures; The most wanted destinations for bicycling, biking are located in the Yangon ,Bagan, Mandalay , Kalaw,Inle Lake, Mawlamyine ,Taungoo, Myitkyina … can also be good places for short biking, cycling journey. For those who love easy cycling, cycle, biking adventure tours, the Mandalay,Bagan area can be a good choice to pedal too. Myanmar is undoubtedly the best place to cycle in the country. The landscape is stunning, amazing karstic rock formations, stilted houses with thatched roofs, mountains nestled between limestone outcrops and the highest concentration of hill-tribe people in the country. When you are cycling in Myanmar , ensue that you ride by these places. The bike ride over the pass might just prove to be a tad stiff, but once you have overcome the challenges, you will be rewarded with a tranquil and tantalizing setting of paddy fields and eucalyptus forests. The seasoned cyclists can opt for the mountainous terrain in and around mountain area and most notably the Thailand border. The scenery around here is spectacular and in your Myanmar bicycle tours around these parts you can also get to mingle with the local minority people. The riding is tough here, given the steep slopes and the rocky trails but you will have the entire mountainside scenery all to yourself. www.myanmarcyclingtours.com is one of specific website which has been built for those who love cycling, bicycling and biking active adventure holiday in Myanmar . www.myanmarcyclingtours.com is fully managed and operated by Indochina Holidays Travel Company Limited, head office in Hanoi-based travel company specializing in group tour and private, customized active adventure tours in Myanmar such as jungle trekking, hiking, mountain biking, motorcycle touring . 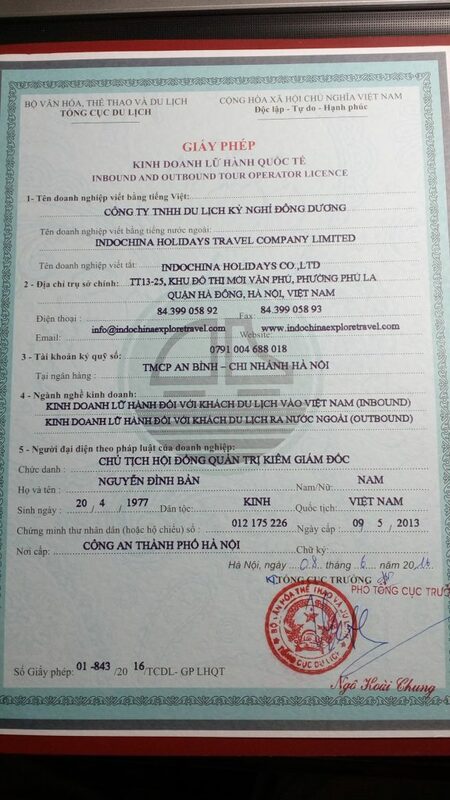 Having operated for over 19 years in Vietnam,Myanmar, Indochina Holidays Travel has established and maintains solid relationships with major local airlines companies (Myanmar Airlines , Bagan Air ,Vietnam Airlines; Jetstar Pacific; Cambodia ,Laos and Thai Airlines), hotels accommodation, car rental companies, restaurants in all over Myanmar and Southeast Asia. Indochina Holidays Travel regularly receives great deals, low contractual service cost, frequent promotions from its local travel suppliers enabling the company to offer a wide selection of mountain cycling, biking, bicycling, countryside cycle, bike adventure tour packages at very competitive prices. Although the non-stop growth of our business, our mission remains unchanged – to customize high quality cycling, bicycling, biking tours at low cost for those who like discovering the real and authentic Myanmar .